senetics – your full service provider for medical devices, medical technology, laboratory equipment and companion diagnostics! You are looking for a development service provider, a regulatory affairs consultant or a biological test lab for your new medical device? senetics takes you from the innovative idea to the market-ready product! The team of senetics is looking forward to exciting projects with you. 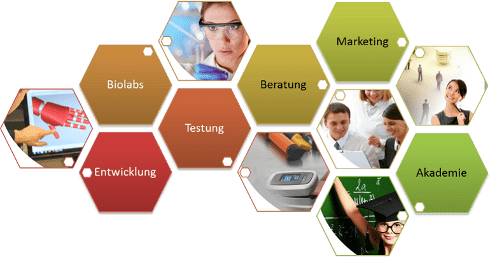 senetics healthcare group GmbH & Co. KG is a developing and consulting company (SME) in the area of R&D, medical technology, pharmacy and biotechnology. The business activities of senetics contain a great expertise in biological purposes such as testing, medicine and regulatory affairs, contract development, trainings and consulting regarding the product placement of new products, development of integral marketing strategies, support of business expansion, and finally contract work in the research field.